The culinary Auld Alliance continues to blend classic French technique with the best of Scotland's larder. 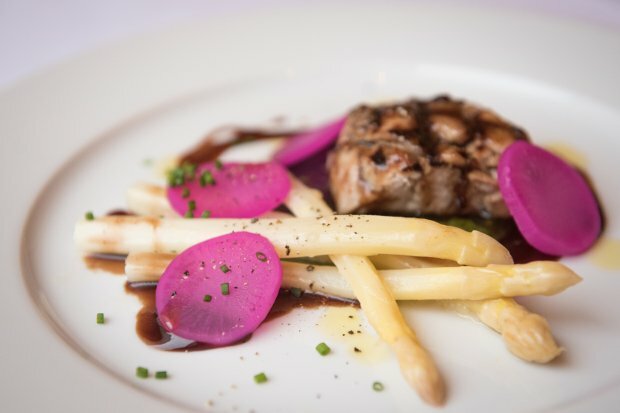 Whether it's a charming bistro full of familiar regional dishes, or polished fine dining matching precise cuisine to a bountiful Gallic cellar, Edinburgh's French offerings continue to be one of the city's most compelling collaborations. A skilful kitchen fine-tuning familiar classics in a delightful bistro setting with lashings of Gallic charm. Bravo! Almost 20 years of precise cuisine, Michelin-starred sparkle and meticulous attention to detail. Modern French/Swiss fine dining with an unpretentious attitude and thoughtful sourcing of ingredients. Delightful Broughton Street bistro with good sourcing and a skilful kitchen fine-tuning familiar classics. Fine French dining with exemplary execution and a friendly face.